Community Outreach | Edmonds, Halifax’s leading landscape, snow and ice management service, trusted since 1965. Feed Nova Scotia is a charitable organization that helps feed hungry people by collecting and distributing food to more than 150 member agency food banks and meal programs, while at the same time striving to eliminate chronic hunger and poverty through research, awareness and support programs. In addition to significant periodic corporate financial assistance throughout the year, each Christmas our employees are invited to pledge lots of turkeys and we match their gift. We find each year our people are more generous than the last. Edmonds is privileged to provide landscape maintenance and snow and ice management services without cost for Ronald McDonald House, a home away from home for seriously ill children and their families who travel long distances for medical treatment. 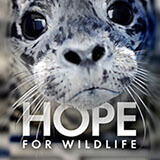 Hope for Wildlife is a wildlife rehabilitation and education centre located 20 minutes from Dartmouth in Seaforth, Nova Scotia. Their Mission is the rehabilitation and release into the wild of injured and orphaned wildlife; the education of our children and the general public regarding the importance of conservation of various wildlife species and the ecosystems that sustain them. Contributed significantly to rebuilding St. George’s Church following the devastating fire of 1994. We currently continue to provide landscape/snow & ice management services at no charge, year round. This helps to fund an administrator in the parish office which better enables the parish to respond to the wide variety of ‘clients’ that are part of broad community outreach initiatives. We have been a major supporter of St. George’s YouthNet since it’s inception in the late 90’s. In the North end of Halifax, where youth are compromised in all sorts of challenging ways, YouthNet is an integral part of addressing this need, facilitating a daily lunch program in the school year; “seeding to feeding�? beginning early spring after school and during the summer, introducing youth to a small greenhouse and outdoor garden requiring necessary care, followed by creative food preparation sometimes using their own ‘crop’; summer camps in interesting and challenging locations; creative artistic workshops encouraging skills the children often do not know they have. We support St. George’s Soup Kitchen; this takes place weekly on Saturday serving more than one hundred clients each week, (both financially as necessary and with volunteers, periodically, if they are available). The Street Connection is a mobile soup kitchen that operates in four low income areas of the Halifax Regional Municipality. Volunteers on the bus distribute free food and bread to an average of three hundred men, women, and children each week. Through Plan International, World Vision, and Christian Blind Mission, our sponsorship includes 18 children each year. In their world this support can facilitate life changing benefits for whole communities. Additional financial support as we are able especially to Christian Blind Mission. Dedicated medical personnel sharing their skills to relieve pain and suffering, Doctors without Borders is an international medical humanitarian organization working in more than 60 countries to assist people whose survival is threatened by violence, neglect, or catastrophe.